Justin and I couldn’t get over how formal the oversized clock on our living room wall made the room look. 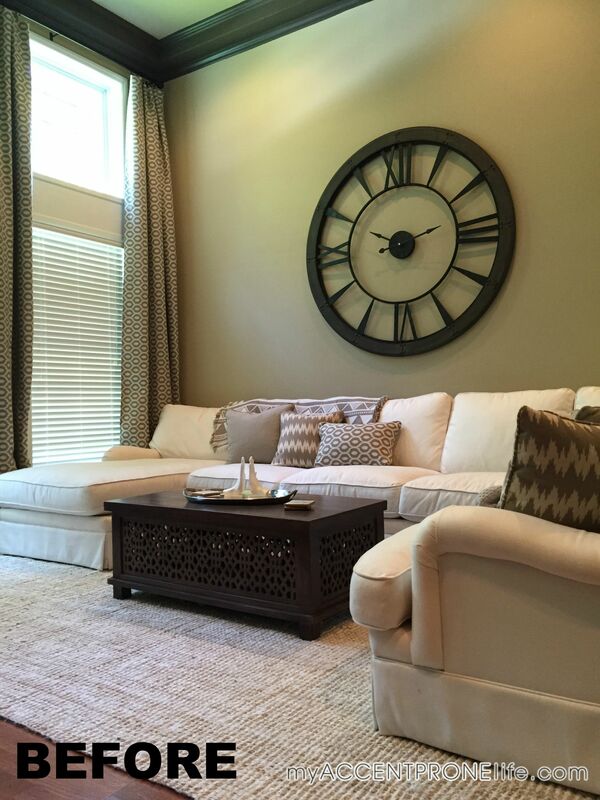 While we planned on flanking the clock with 2 light pendants on each side, the look of the room was just a little too “grown up” for our taste. (ha!). 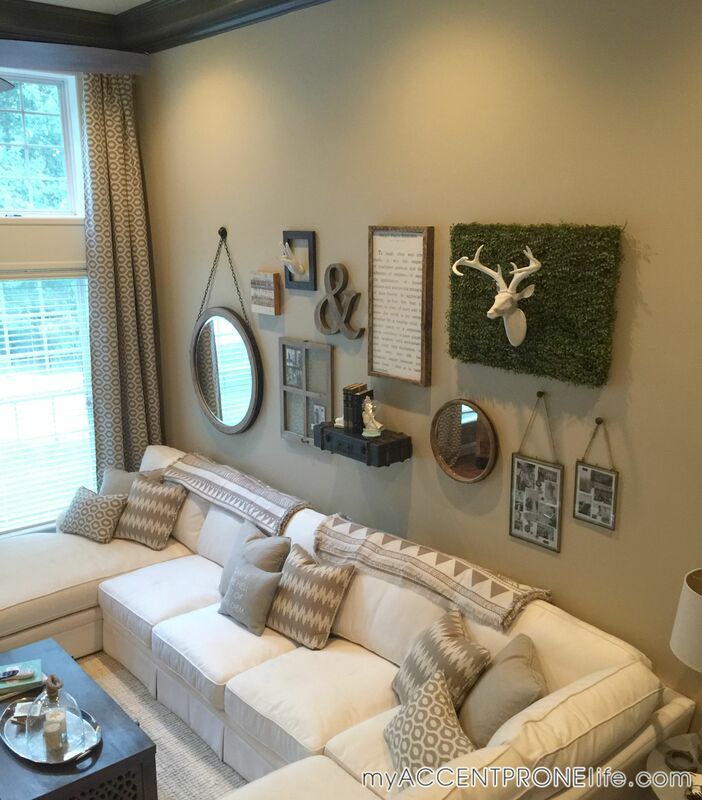 So our remedy to this solution was to create an eclectic rustic and contemporary gallery wall. 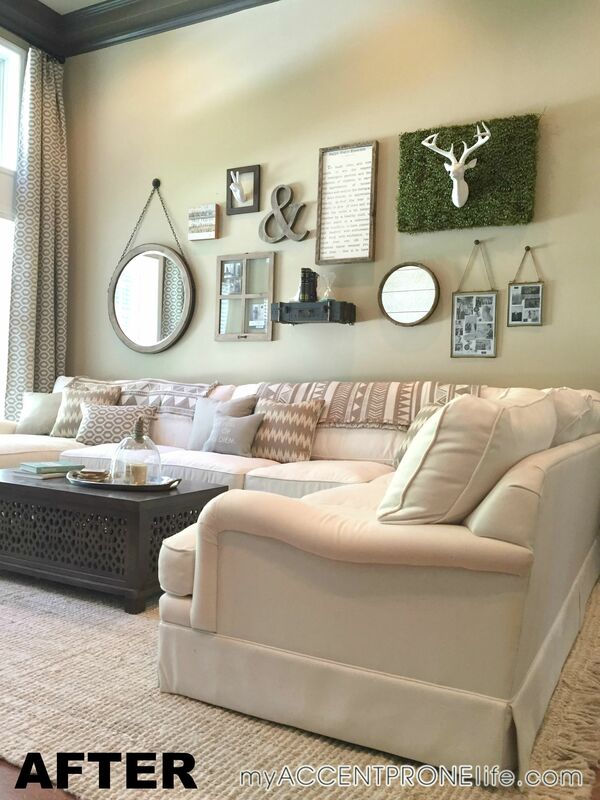 Gallery walls have become such a trend over the past year. 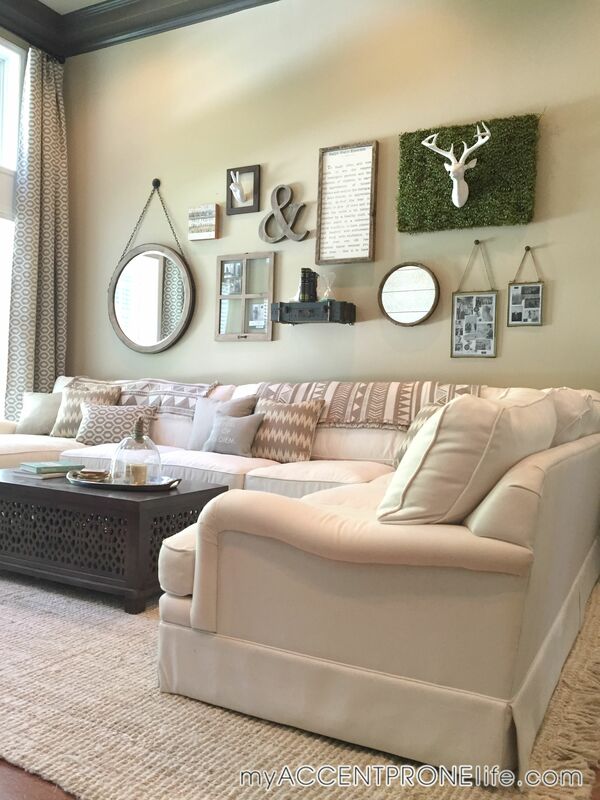 They are a great way to decorate a large wall that would otherwise be difficult to fill, and they also add in a variety of interest and conversation pieces. Justin and I decided to put a gallery wall over our sectional in our living room, replacing the large oversized clock that we had there. While I absolutely love the clock and will still be using it in the same room on another wall, we wanted this feature wall to have a more eclectic fun vibe. 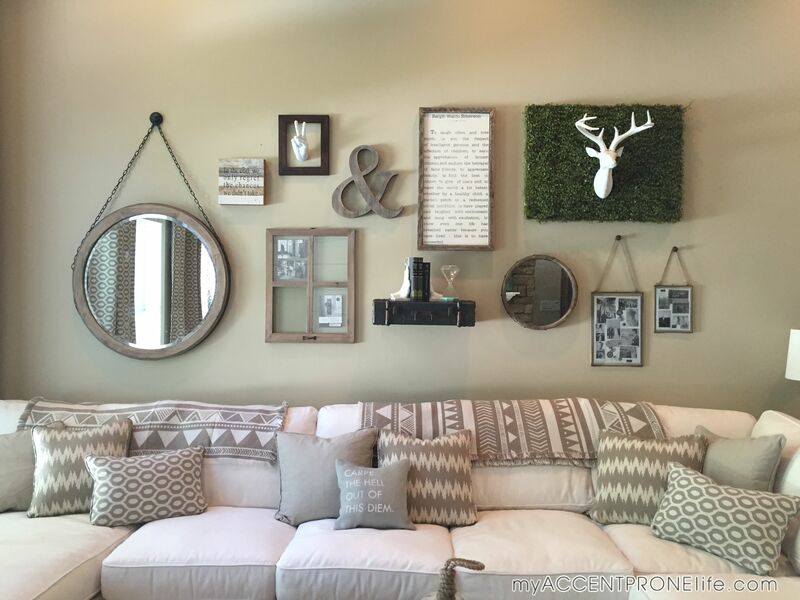 In the bullets below, I will give you 6 ways to create an interesting gallery wall in your own home. 1. Use Different Size Pieces- When creating a gallery wall, you want to mix in all different size and shape pieces. The idea is to have the wall look random, but balanced. So find pieces that compliment each other, but that are all unique in size, shape and style. 2. 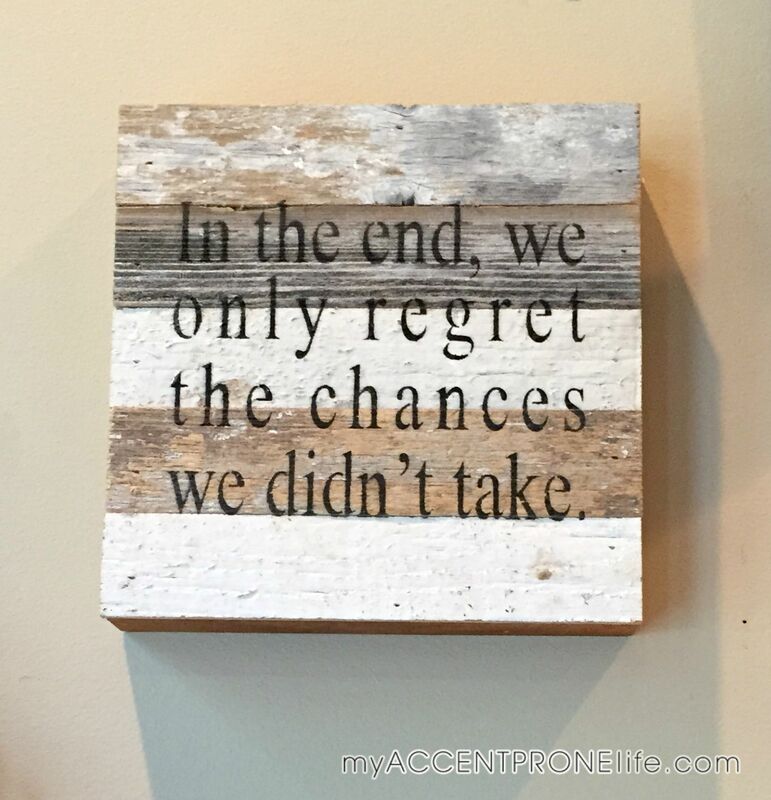 Quotes- Quotes are great inspirational pieces to add to a gallery wall. I picked 2 different quotes in different sizes and styles to add variety. 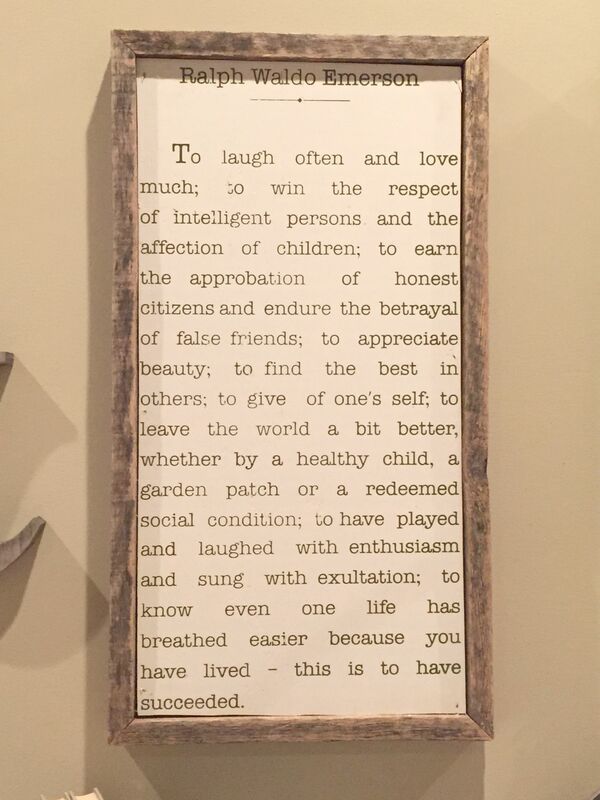 The small barn wood sign is from our store Accent Prone and the larger Ralph Waldo Emerson sign is from 2540 Love. 3. 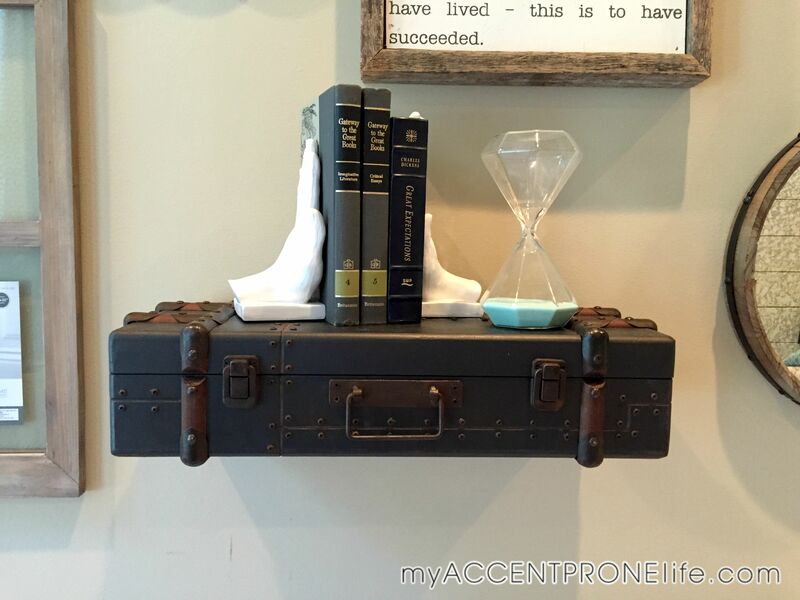 Dimensional Pieces- Pieces that stick off the wall are a great way to add in interest. 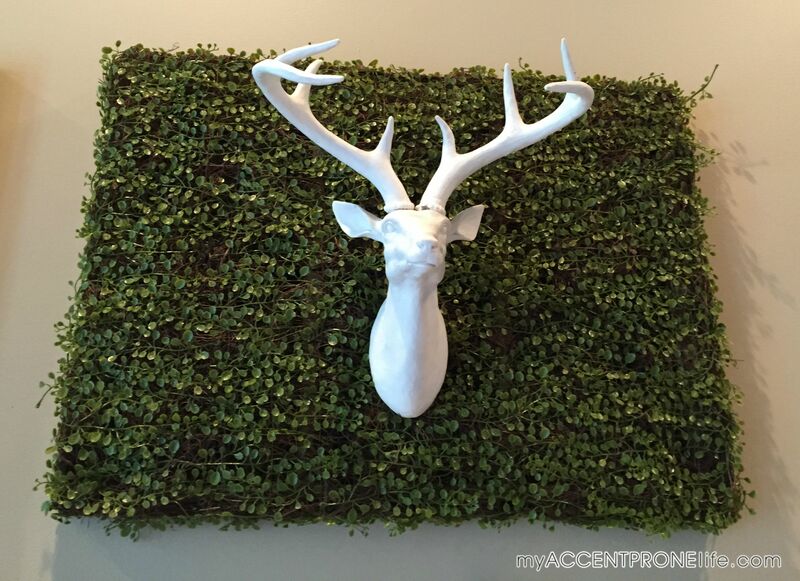 We used a trunk from our store Accent Prone, and mounted it to the wall with mounting brackets. We can now use the trunk as a shelf to add in fun accessories. 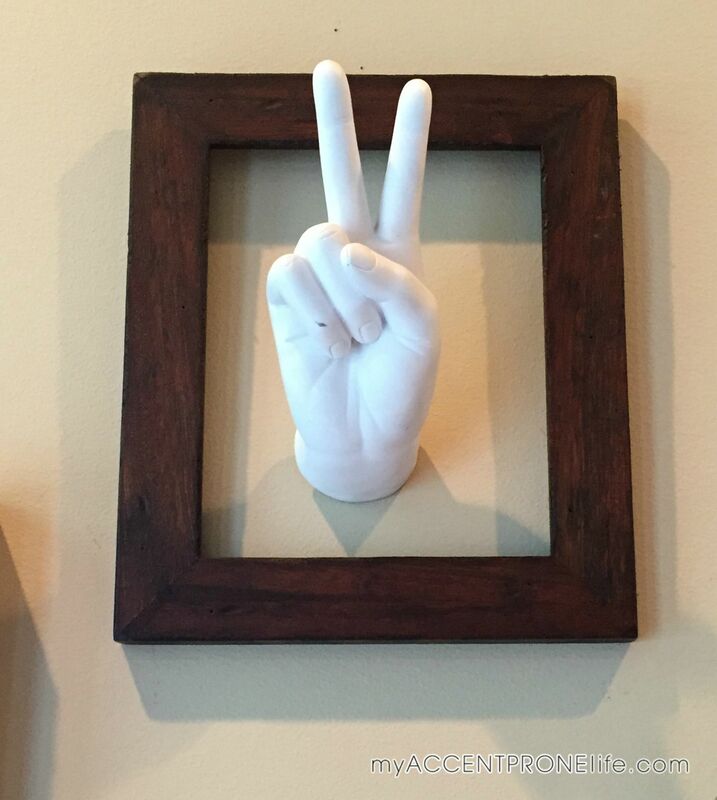 Our peace hand sign is also a dimensional piece that sticks off the wall to mix it up. 4. Picture Frames- Picture frames are a must on a gallery wall. It’s a good way to display pictures of your family and loved ones and combine some unique art pieces as well. 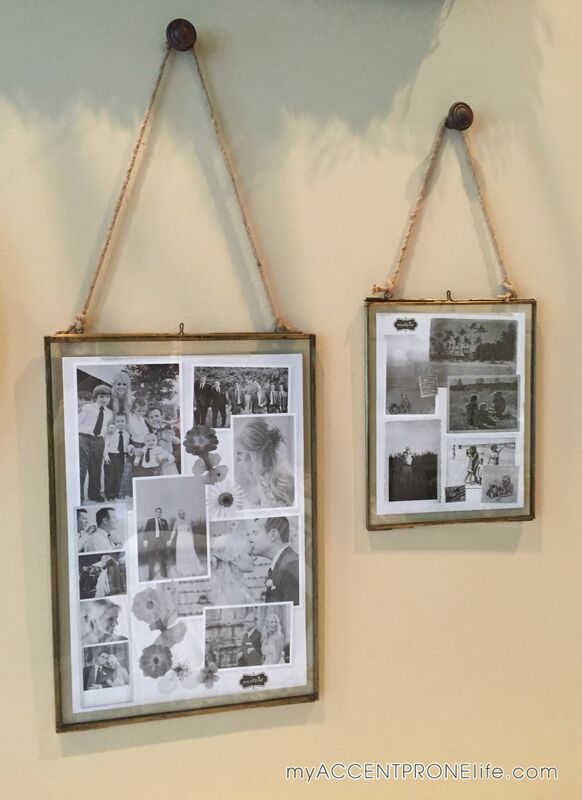 These fun rope gallery frames are from our store Accent Prone. (We haven’t filled our frames with pictures yet, so please excuse these fillers). 5. 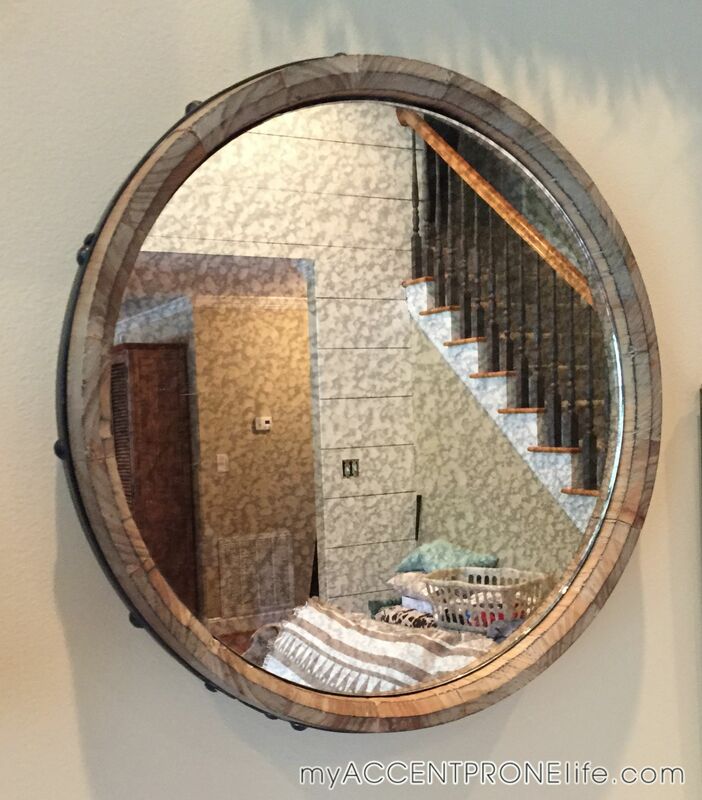 Mirrors- Mirrors reflect light and thus make a room look larger. 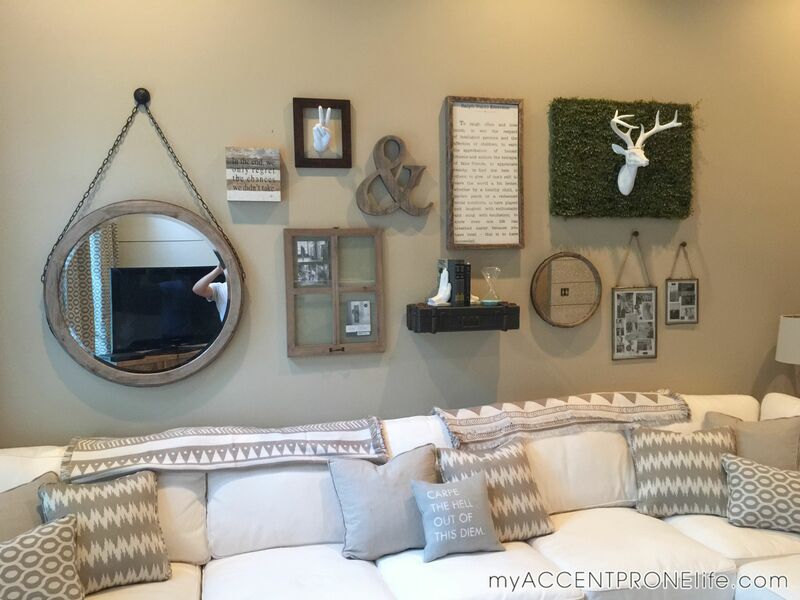 Not only this, but I love the look of mirrors, and adding a couple to a gallery wall in different sizes and styles looks great. Both of these are from our store Accent Prone. When hanging gallery walls, they can be complicated to install if you don’t plan them out first. 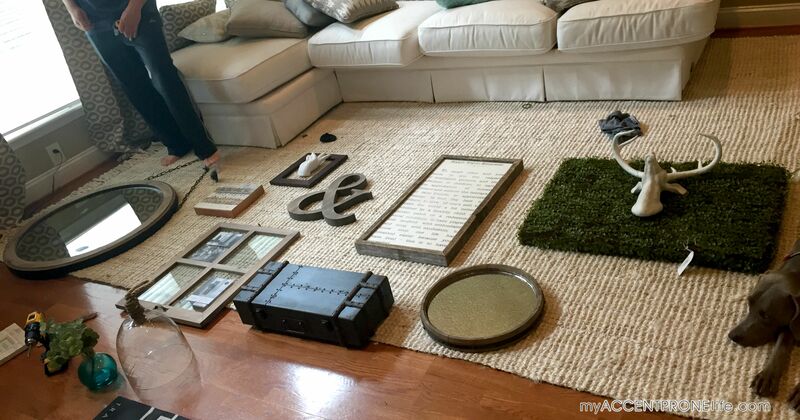 I recommend laying all of your pieces out on the floor, in a space that is as large as your wall. Play around with the placement of the pieces until you find a combination that you like. We literally played around with our items for about 30 minutes before deciding on the version that we liked the best. Then, find the middle point of your wall and nail up your first piece. Then, work your way out from that center point, keeping the items evenly spaced. Remember– place your items so that they are random, but balanced. Don’t put all of your small pieces on one side and large pieces on the other. 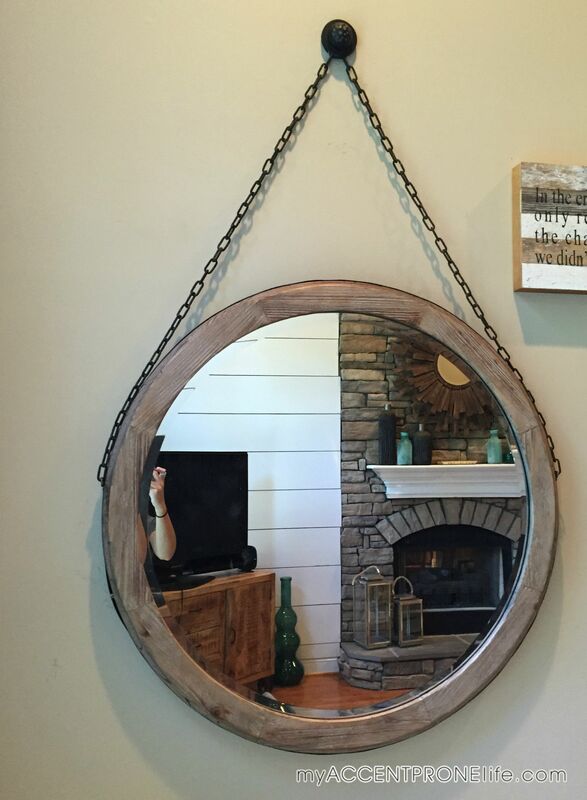 Evenly mix sizes and pieces across the wall. If you are hesitant to start nailing pieces up, you can use painters tape. Measure out the items and tape up the outline of them on the wall to create the layout that you like, and then once you are happy with it, nail up the pieces where they go. Want some help with your own gallery wall? Come into the store and we can help! Thanks for stopping by everyone! 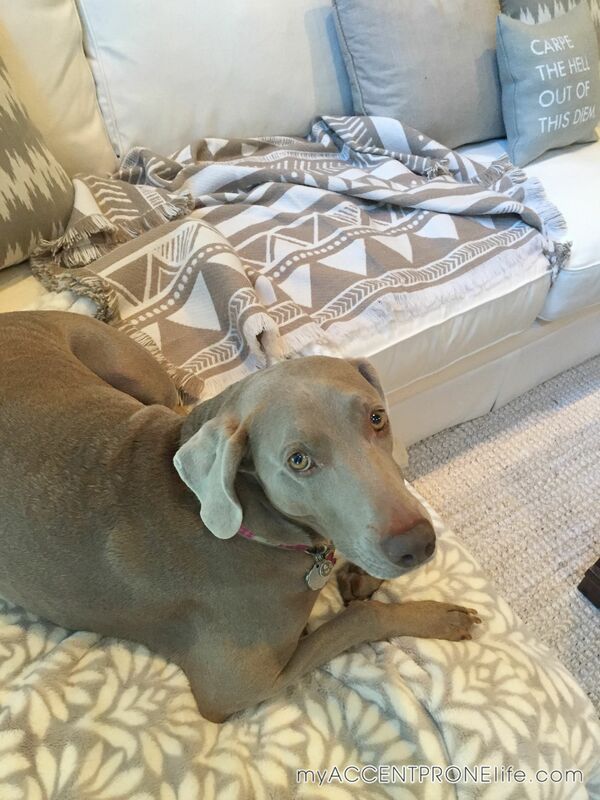 Reagan wishes you all a fabulous weekend coming up!